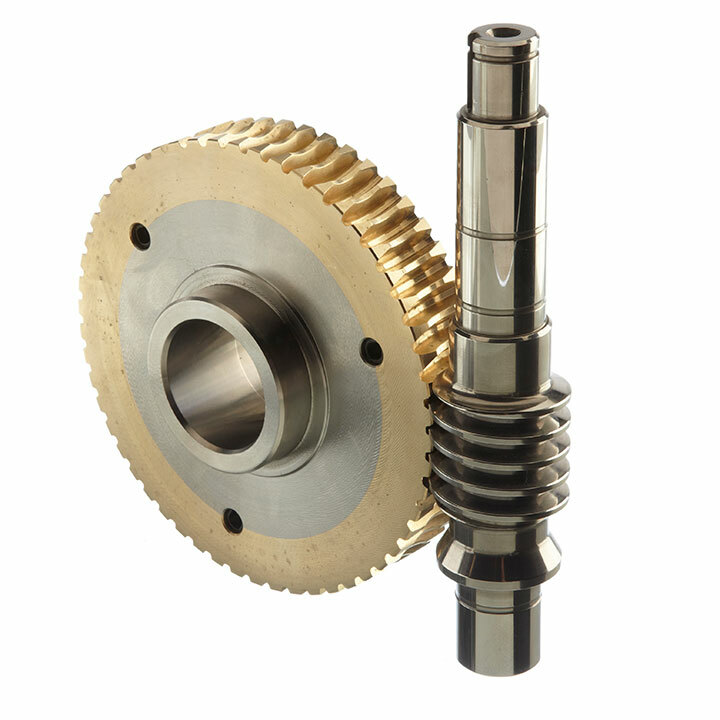 Mini Gears manufactures worms and worm wheels for power transmission applications including stairlift gearboxes, full and quarter turn sets as used in the oil, gas and petrochemical industries for the operation of ball and gate valves, boat anchor winches and truck mounted car recovery winching units. As a general rule worms and worm wheels are normally supplied as matched pairs (sets) in order to give the best efficiency in operation. The worm and worm wheel can also be “lapped” to ensure correct contact area. Mini Gears will test them on centres to ensure they will operate correctly. If required, sets can also be adjusted if a different contact area than normal is required. We manufacture worms from a range of steels that can be heat treated by induction hardening, case hardening and nitriding and, if required, we can grind the tooth flank which increases efficiency of the product. We manufacture worm wheels from nylon, cast iron and various bronze materials and, for very low efficiency applications, basic steels can also be used for cost effectiveness.